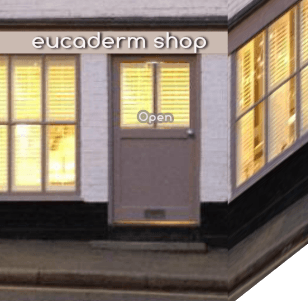 The Eucaderm Hair & Scalp Clinic has treated many hundreds of clients from all over the world. 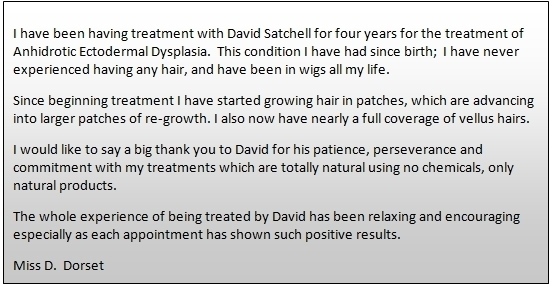 Here are some Testimonials from clients of David Satchell, Trichologist – who were treated with the Eucaderm Alopecia natural treatments, together with photos and video. 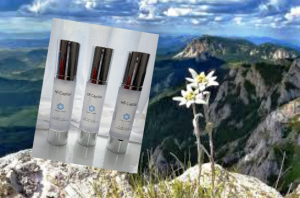 The latest exciting news from Eucaderm is about the new treatment using plant-based Stem Cells. 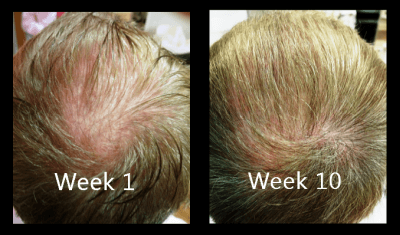 It’s very different from what you would expect; there are no injections involved – simply a weekly application of stem cell liquid on to the scalp. 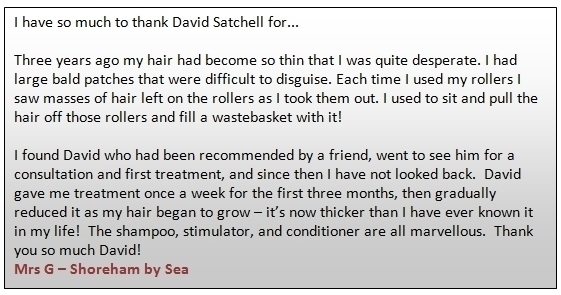 Completely amazing results after just ten weeks! 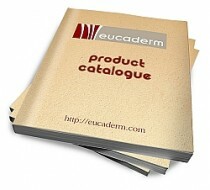 This is Diane – a Eucaderm client – who has very kindly agreed to allow these to be published. Diane was suffering with Alopecia, and lost all of her hair. 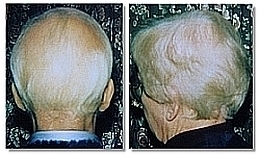 The photos show before, during, and after the Eucaderm treatments. 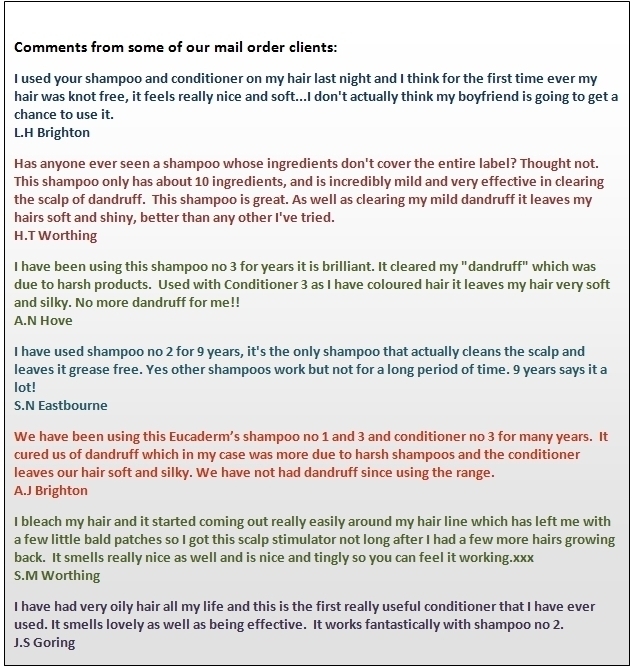 One of Eucaderm’s Clients, Nadia, also had to battle with losing her hair due to Alopecia. Here she is talking to David Satchell at the Eucaderm Clinic in Eastbourne. 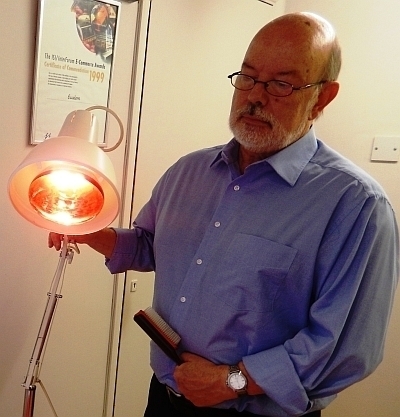 Over the years many hundreds of clients from all over the world, including the USA, Portugal, Saudi Arabia, Switzerland, The Netherlands, Cayman Islands, Malta, and so on, have travelled to the UK especially to receive the Eucaderm Treatment from David Satchell,Trichologist. 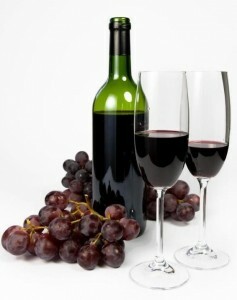 we can offer professional advice on the best way to treat yourself. 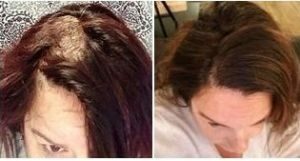 Here are two photos of Mrs S, who kindly allowed me to publish some ‘before and after’ shots of her Alopecia Natural Treatments. As you can imagine this lady was delighted with the results achieved. Any questions? 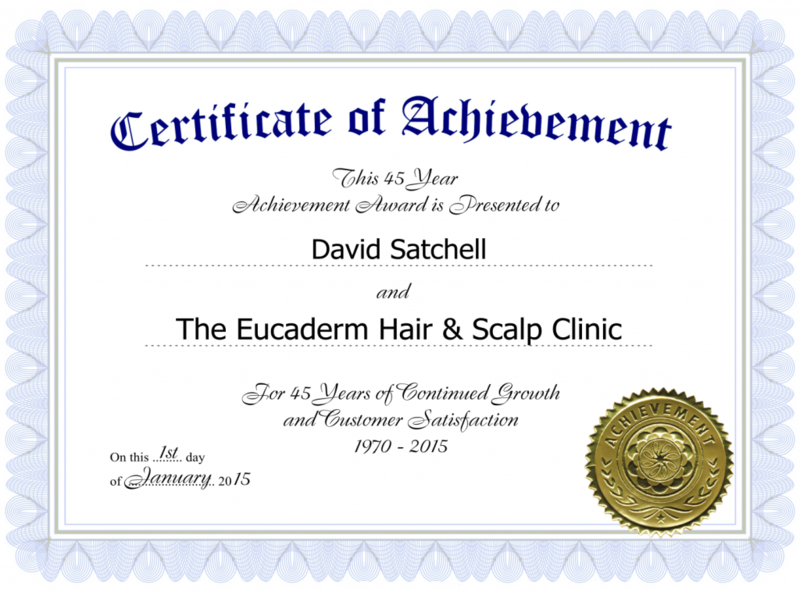 Please email David Satchell at: davidsatchell.eucaderm@gmail.com – we will reply within 24 hours.